Delight in the process of painting whilst exploring your creative energy and immersing yourself in the sensory expression of self. There are a variety of 2 Day Creative Art Workshops available from traditional to abstract styles of painting. Explore painting in acrylics, mixed medium or oils. Perhaps you’d like to put your own small group of art lovers together and design a program that best fits your needs. I’m happy to discuss all your requirements and provide an exciting step-by-step program that will see you taking home your own fabulous art. These 2 day workshops are designed for beginners to advanced art enthusiasts. 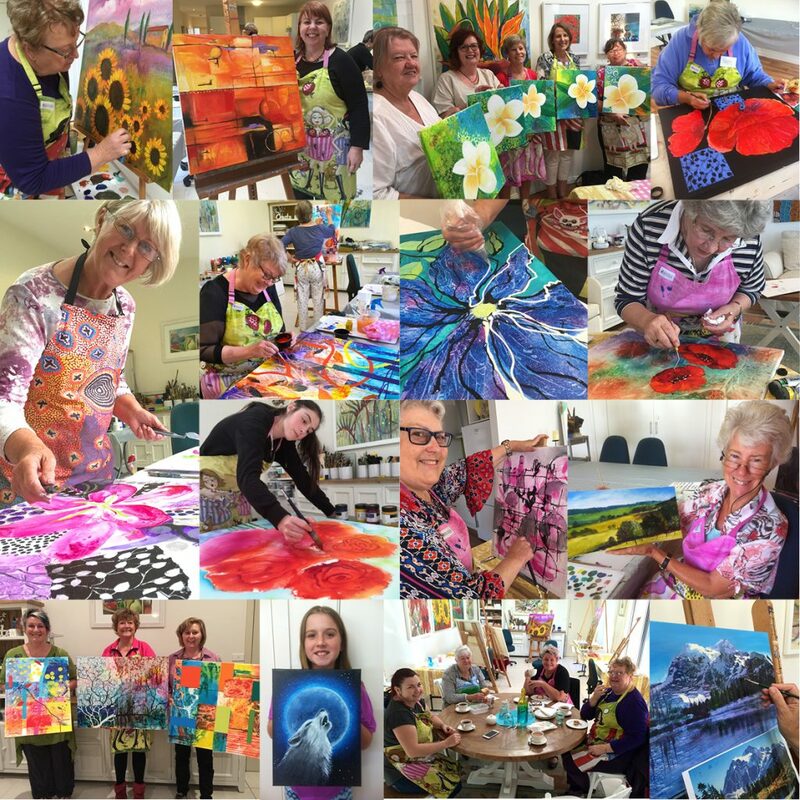 Small classes for up to 4 people are conducted in my studio in Tura Beach, NSW with larger groups being run in a Merimbula venue. All classes are from 10am to 4pm daily. You will need to provide your own lunch but tea and coffee is available throughout the day. Please contact me if you’d like a longer workshop run over 3, 4 or 5 days. You may be required to bring some materials and canvas to the class. A material list will be supplied. My workshops are designed to be loads of fun, help build your creative confidence and enable you to take home a beautiful work of art to hang on your wall. Whatever workshop you choose you will get plenty of attention and instruction, and be guided through the process of creating your own fabulous piece of art. In many cases your paints, brushes and equipment will be supplied if you are undertaking a 2 or 3 hour class, however in my longer one and two day workshops you will be required to bring some or all of your own equipment and/or canvas. 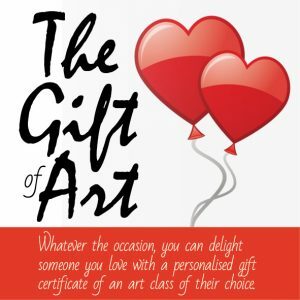 Regardless of whether you are a beginner, hobby artist or experienced painter you will find at least one of my creative art workshops which will see you learning new paintings skills and techniques. Please see individual workshop details to see the content and what you are required to bring to class. Be on my mailing list and automatically receive information about my upcoming workshops – SUBSCRIBE HERE. If you’d like information or wish to register for more than one workshop then please simply for to my Art Workshop Registration page and tick the relevant boxes. Beginner – No previous training or limited painting experience. High school art only. Intermediate – Some formal art training, good amount of recent painting/drawing experience, member of a painting group or has had work in local exhibitions or art competitions. Advanced – Long standing member of an art group, formally trained in art/design/painting, many years as a hobby artist, have entered a number of exhibitions, group shows, or works as a professional or semi professional artist. I invite you to come to Merimbula, where I live on the beautiful Sapphire Coast, NSW. Yes, our beaches are clean and white, our water is the colour of sapphires and our climate the most temperate in Australia. Perhaps you might like to take a break and immerse yourself in your artistic endeavours whilst still taking some time out to visit wineries, local markets, try our delicious oysters, stroll on our sandy beaches or even take a dive into the pristine waters. There is so much to do here that you could come for a week and still not see it all! Why not…you deserve to take time out for yourself! Please contact me if you’d like to have me to tutor your art group at your location or you’d like to organise your own private group of friends to come to the coast for a creative weekend of painting. Developing artistic skills, embracing new challenges and being involved in the whole creative process enables students to problem solve, expand their skills and develop new techniques, resulting in improved self confidence for each participant regardless of age or experience. Beginners are warmly welcomed and you’ll be amazed at what you accomplish! Whether you are beginner or have had a little or a lot of painting experience, there will always be something new to learn and challenge you. In my small group workshops you can develop new skills and express your creative self in a relaxed and professional environment. Discover how to prepare your paper or canvas, draw up your design, select and mix colours, apply paint and mediums, and learn exciting techniques to create a beautiful work of art of which you’ll feel proud to take home. Private classes are available for children from 8 years of age, or adults of all ages. They are available on weekdays and weekends and are for anyone who prefers one-on-one tuition. My private classes are conducted in my home in Tura Beach on the Far South Coast of NSW. Special Art Event Workshops can be designed especially for you, your friends, family, corporate function or art group. You can choose from any of the workshops on offer or have one designed especially to suit your needs. Gift Certificates for private lessons or group art workshops are available and may be purchased from my online shop. Gift Certificates will be emailed directly to you or the recipient. All they need to do is contact me to advise me of the lesson they would like to attend.